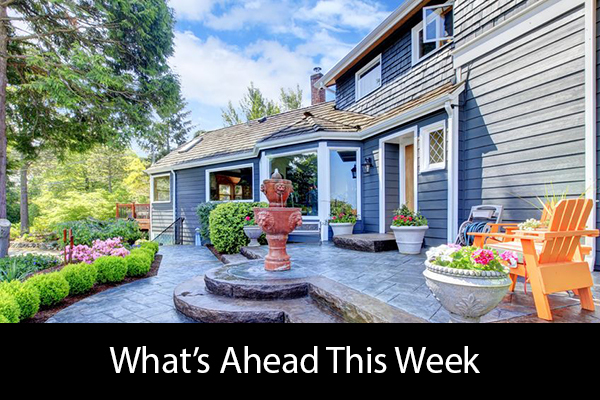 Last week’s economic reports included readings from Case-Shiller Housing Market Indices, National Association of Realtors® on pending home sales and weekly readings on mortgage rates and new jobless claims. The Commerce Department’s reading on sales of new homes was delayed due to the federal government’s shutdown. Home price growth was nearly nil with October’s month-to-month reading of 0.40 percent; The Case-Shiller 20-City Home Price Index showed a year-over-year home price growth rate of 5.50 percent, which matched September’s year-over-year reading. Las Vegas, Nevada led home price growth in the 20-city index with a year-over-year increase of 12,80 percent; San Francisco, California had home price growth of 7,90 percent and Phoenix, Arizona home prices grew by 7.70 percent year-over-year in October. While San Francisco, California, Seattle, Washington and Portland, Oregon dominated the top three spots in the 20-City Home Price Index in recent years, the latest home price growth rates indicate that the West Coast may be easing off on its rapid home price gains. High-cost metro areas risk reaching a tipping point when there are few properties available with very high prices and buyers competing. ,Affordability and slim choice of available homes can cause would-be buyers to sideline themselves while they await more options and lower prices. 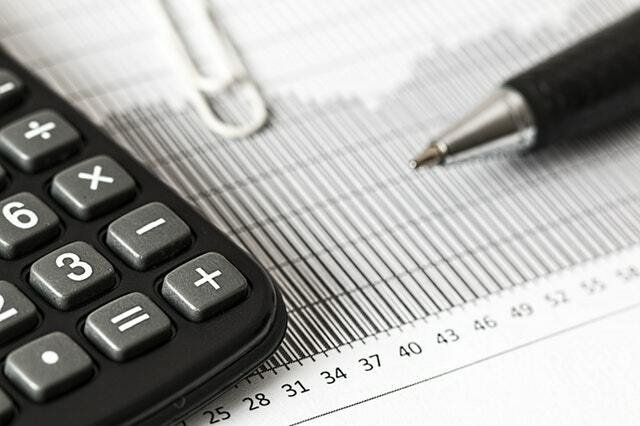 Rising mortgage rates caused concern among buyers concerned with affordability and qualifying for mortgage loans under strict lender requirements. Future home sales slipped in November, but less so than they did in October. Pending sales registered in negative territory with a reading of -0.70 percent in November as compared to October’s reading of -2.60 percent. 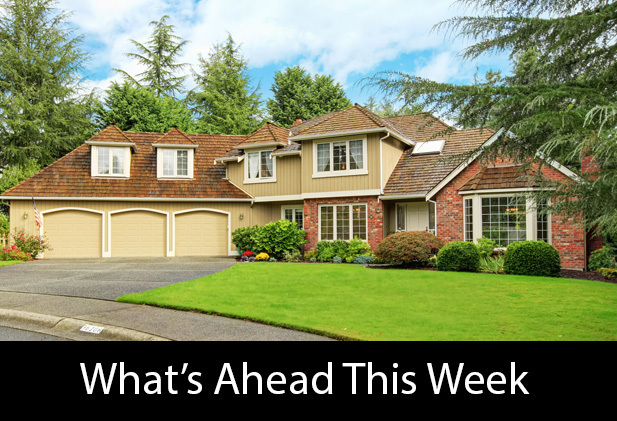 Analysts and real estate pros view pending sales as an indication of future completed sales and mortgage activity; falling numbers for pending home sales suggest slowing home sales that could impact housing markets. Pending sales are considered sales for which purchase contracts have been signed, but that have not closed. Freddie Mac reported lower averaged fixed mortgage rates with the rate for a 30-year fixed rate mortgage lower by seven basis points at 4.55 percent. The average rate for a 15-year fixed rate mortgage fell by six basis points to 4.01 percent and the average rate for a 5/1 adjustable rate mortgage rose two basis points to 4.00 percent. Falling mortgage rates could induce discouraged home buyers to look for homes again. First-time jobless claims dropped by 1000 claims to 216,000 new claims filed. Analysts predicted a reading of 217,000 mew claims filed, which was unchanged from the prior week’s reading. This week’s scheduled economic reports include readings on construction spending, non-farm payrolls and the national unemployment rate. Weekly reports on mortgage rates and first-time unemployment claims are also scheduled. Please note that some scheduled readings could be delayed due to the federal government shut-down. When you walk through a house with your real estate agent, you’re seeing if you and your family would be happy living there. But you’re also probably looking for signs of trouble that might spell big expenses later on. Be careful, though. It’s important to see the “bones” of the house rather than focusing on minor issues. Here are four flaws you can safely disregard. Stained carpet is more an indication of the owner’s poor cleaning habits than of any real problems with the house. It’s so easy to replace carpeting that it’s not worth even paying attention to when you’re viewing a house for sale. In fact, once you pull up that carpeting, you could discover beautiful hardwood flooring! They say that there’s no accounting for bad taste. If you’ve seen enough houses with your real estate agent, you’re bound to encounter some less than traditional paint colors. However, paint can easily be painted over. You can safely ignore the flamingo pink bathroom walls or the putrid brown bedroom color. Every homebuyer wants to pull up to a house for sale and think, “How charming!” Unfortunately, a lack of curb appeal gives a sour first impression. However, don’t let that deter you from see the house for its true value. The inside might be magnificent. You can always add your own curb appeal later with pretty landscaping, shutters or window boxes. 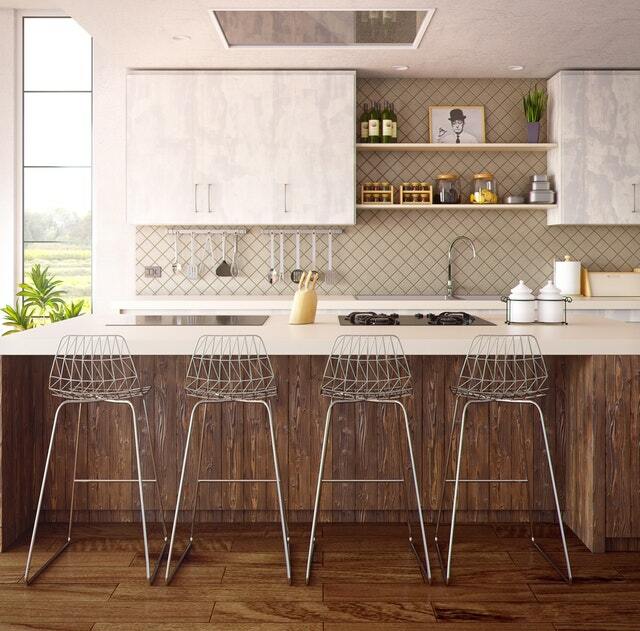 If the kitchen is a little dated but the rest of the house meets your expectations, it’s okay to overlook this “flaw.” It’s fairly easy to update a kitchen with new or refinished cabinets, new appliances and a fresh coat of paint. Yes, it will cost a bit, but the outdated kitchen might be reflected in a lower selling price. Ask your real estate agent for their recommendation in this regard. Sometimes it’s challenging to find the right house in the right location. When you do find one that checks all the boxes, don’t let any of these minor “flaws” deter you from making an offer. The little things won’t keep you from enjoying your new home, and you’ll be glad you focused on the things that really matter! As a new homeowner, now is the time to take control and organize your house for safety and security. The following first five steps should be carried out in the first few weeks if possible. There’s no way of knowing if the previous owners gave copies of the house keys to a friend, neighbor or cleaning staff. 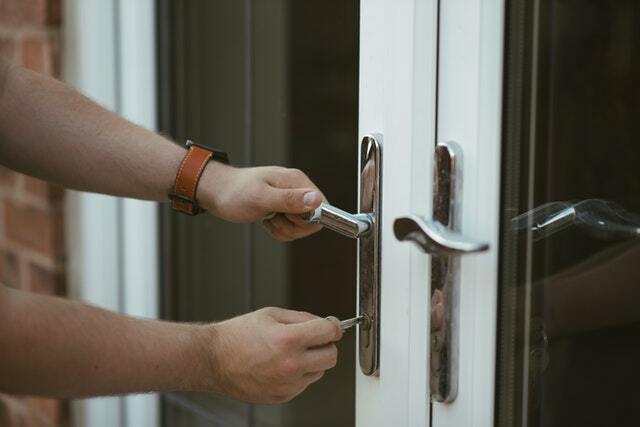 The very first thing you should do when you take ownership is to re-key the locks on all the doors, including the garage and any outbuildings there may be on the property. Alternatively, you can install brand new locks. Either way, a locksmith can take care of this for you. Don’t wait until a water leak to run around searching for the main shut-off valve. Instead, take a few minutes to locate all the shut-off valves for your new home. Write down their locations and post the list next to your circuit breaker. As the new homeowner, you’ll want to know what each circuit breaker switch controls. Work with a family member to methodically go through and flip each switch off and on to figure out the controls. Then carefully label each switch so you never have to guess again. Be ready for a small fire emergency by placing fire extinguishers in each room of your new home. For the kitchen and garage especially, be sure to purchase the correct type of fire extinguisher. The labels on the extinguishers will guide your decision. Even bedrooms could have at least a small extinguisher handy, in case of an electrical malfunction. It pays to walk the land around your property to visually survey it. You’ll want to know about potential issues, such as poison ivy growth or a broken fence panel. You might also find some happy surprises like a hidden rosebush or a nest of birds. Taking the time to do these five steps will assist in making your new home more enjoyable for your family. They will also help you to familiarize yourself better with your new property. Your trusted real estate agent will be there to assist you from beginning to end of your homebuying experience. Be sure to contact this valuable resource as soon as you are ready to start your search. During its post-meeting statement, the Federal Open Market Committee of the Federal Reserve announced that its target range for the Fed’s key interest rate would increase one quarter percent to 2.25 to 2.50 percent. While this rate hike was not expected by the Executive branch, it met analyst expectations. FOMC said in its customary post-meeting statement that members expect to make two interest rate hikes in 2019 as compared to three rate hikes in 2018 and the Committee’s original forecast of three rate hikes in 2019. Given current economic conditions, the Fed forecasted only one rate hike for 2020. FOMC’s statement cited “cross currents” impacting the economy, but expects “solid growth next year, declining unemployment a healthy economy.” The Fed specifically listed strengths in labor markets, household spending and a healthy economy influenced the committee’s decision to raise the Fed’s benchmark interest rate range. Recent volatility in global affairs and the economy prompted FOMC to say that they would be reviewing ongoing global economic and financial developments and assess their implications for the global economic outlook. Chairman Powell said that current economic conditions have helped the Fed meet its dual mandate of maintaining maximum employment and stable economic growth, for which the Fed has set a benchmark of two percent annual growth for inflation. Current inflation is lower than expected and unemployment is near record lows. The Fed faces balancing interest rate increases with closely monitoring economic “cross currents”. Chairman Powell said the Fed expects the median rate of economic growth to slow to 2.30 percent in 2019 as compared to 2018’s rate of 3.00 percent. The National Unemployment rate is expected to fall from its current rate of 3.70 percent to 3.50 percent by the end of 2019. Mr. Powell said that no course of action is predetermined and that Fed leaders will monitor economic and global developments on an ongoing basis. Last week’s economic news included readings from the National Association of Home Builders, Commerce Department readings on housing starts and National Association of Realtors® report on sales of previously-owned homes. Weekly reports on mortgage rates and first-time jobless claims were also released. Homebuilder confidence fell to a 36 month low in December as homebuilder concerns over rising home prices, high mortgage rates and decreasing inventories of available homes sidelined home buyers. The NAHB Housing Market Index fell four points to 56. Components of the Housing Market Index reading also fell as builder confidence in current market conditions fell six points to an index reading of 61; builder confidence in new home sales over the next six months fell by four points to a reading of 61. Builder confidence in buyer traffic in new home developments dipped two points to 43. While any reading over 50 is considered positive, buyer traffic readings under 50 are not unusual. Analysts and real estate pros often consider the Home Builders Housing Market Index as an indicator of future new home construction and sales. Rising home prices and mortgage rates were cited as reasons contributing to the drop in home builder confidence. Sales of pre-owned homes rose in November with 5.32 million sales reported on an annual seasonally adjusted basis. Analysts expected a reading of 5.17 million sales based on October’s sales pace of 5.22 million sales. Three out of four regions reported gains in sales of pre-owned homes. The Northeast reported a gain of 7.20 percent; the Midwest reported a year-over-year gain of 5.50 percent and sales of pre-owned homes were 2.50 percent higher in the South. The West lost traction in existing home sales with a negative reading of -6.30 percent. Known for high home prices, it may be that home prices have peaked in the West. The Commerce Department reported housing starts at the rate of 1.25 million in November; analysts predicted a rate of 1.230 million starts based on October’s reading of 1.217 million starts. November building permits rose to 1.328 million permits issued as compared to a reading of 1.265 million permits issued in October. Analysts said that more apartment homes were being built; this trend could be a further indication of home prices being out of reach for would-be home buyers. Freddie Mac reported lower mortgage rates last week; 30-year fixed mortgage rates averaged 4.62 percent and were one basis point lower than in the prior week. 15-year fixed mortgage rates were unchanged at an average of 4.07 percent. The average rate for 5/1 adjustable rate mortgages was six basis points lower at 3.98 percent. Discount points averaged 0.40 percent for fixed rate mortgages and 0.30 percent for 5/1 adjustable rate mortgages. First-time jobless claims fell last week to 206,000 claims filed. Analysts predicted 218,000 new jobless claims based on the prior week’s reading of 206,000 new unemployment claims filed. This week’s scheduled economic readings include Case-Shiller Home Price Indices, new and pending home sales and weekly readings on mortgage rates and new jobless claims. Government shutdown may impact some readings.